Are You Ready to Take the Next Step in Your Life or Business. Overcome the blocks and fears that are holding you stuck and frustrated so you may live the very best version of yourself in all areas of you life. We would like to introduce you to 3 Mind Body Modalities, that you can experience with an advanced Therapist. 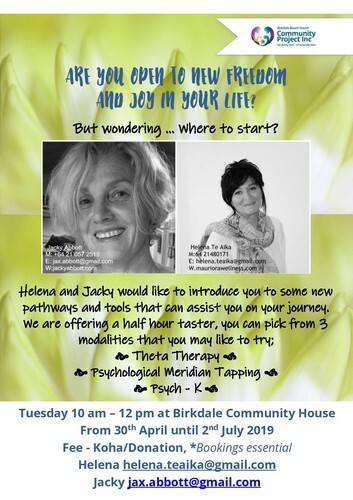 We are offering you a half hour taster session. These wonderful modalities enable you to create new pathways in your life journey. 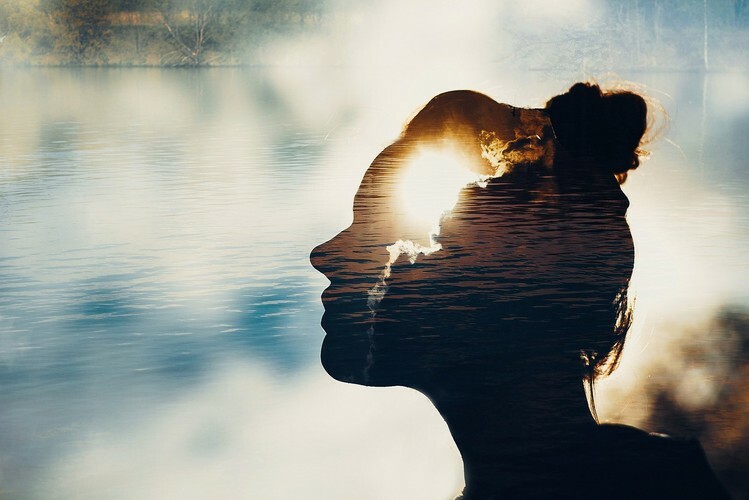 ThetaHealing helps transform deeply held blocks, negative beliefs and trauma in the unconscious mind, releasing old habits and patterns that no longer serve, making way for positive change. A simple and effective method to change limiting beliefs into powerful self-supporting one to create balance in your health, wealth, love and happiness. Tapping is a combination of Ancient Chinese Acupressure and Modern Psychology. Tapping with the fingertips on meridian points of the body, helps to calm the nervous system, rewire the brain and restore the body’s balance of energy. Jacky's passion is helping people to change and to get what they want in life. She uses Psych-K and Theta Healing to gently change limiting beliefs and emotions into supportive, empowering ones. Helena is a Counsellor who works from a MindBody approach. She has worked within the Social and Mental Health Services for well over 25 years, enabling people to make positive changes in their lives. Helena is committed to working with the whole person, she believes, for “lasting change” to occur, her clients need to be equipped with techniques, to regain mastery over their own health and well being and ultimately rediscover, fulfilling and joyful lives. (BA SocSci, BA Counselling, Certified Psycho-therapeutic Studies, NZAC: Certified Trauma Release Practitioner: Certified Abdominal Body Work and Health: Certified EFT/SAT: Certified Theta Therapist).